MATLAB is an enormously useful tool in scientific research, especially since the environment comes with many preloaded functions that are easy to add into your code, and the MATLAB Documentation, easily accessible through the Mathworks website, is an essential tool for anyone using MATLAB to code. The documentation includes detailed information about each command written into the language, including its syntax, necessary parameters, and several examples of its use. The documentation covers a wide range of topics, from MATLAB language fundamentals and syntax, to commands found only in specific toolboxes that users can add to their MATLAB environment. Users can also easily search through the documentation to find a particular command. 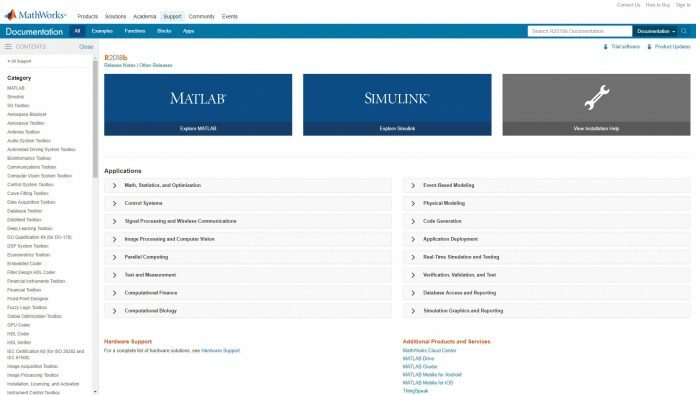 The MATLAB documentation is a vital tool for anyone using the software and is a great resource both for beginners and for seasoned coders who can’t quite remember what command they need to use.